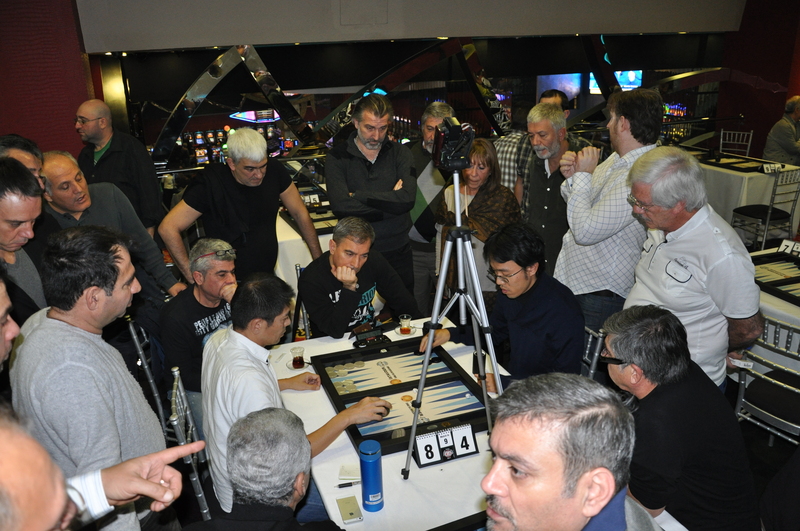 In this article, I will share my opinions about two recent Cyprus tournaments 1st Merit Open and 6th Cyprus Open. Cyprus is an island in Mediterranean very close to Turkey, Syria, Israel, Lebanon, Egypt and Greece. Due to its location and climate, it is a very good place for tourism. 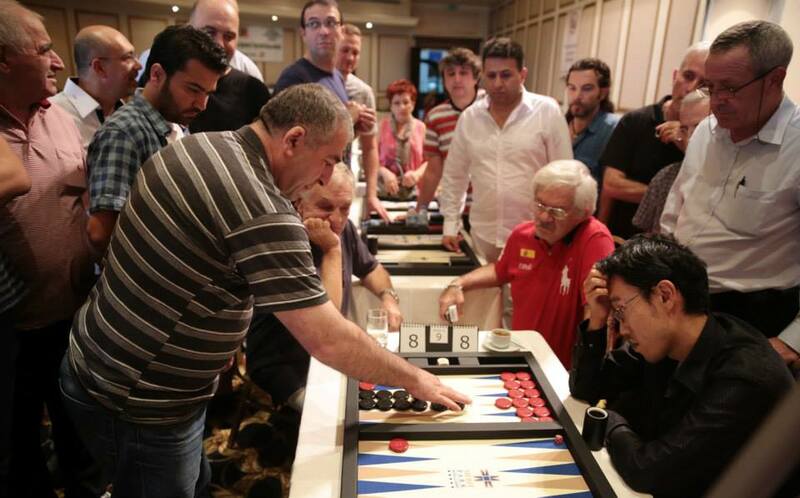 Since all countries around Cyprus are also backgammon centers, it is also a good location for tournaments. 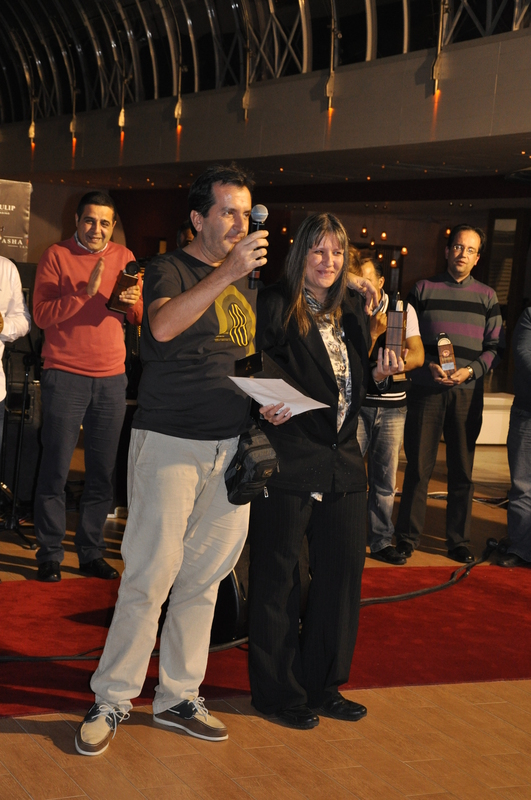 5 years ago there were no international backgammon tournaments in Cyprus. The World Cup Challenge VI held in Istanbul in 2000 was maybe the last significant tournament of that region. 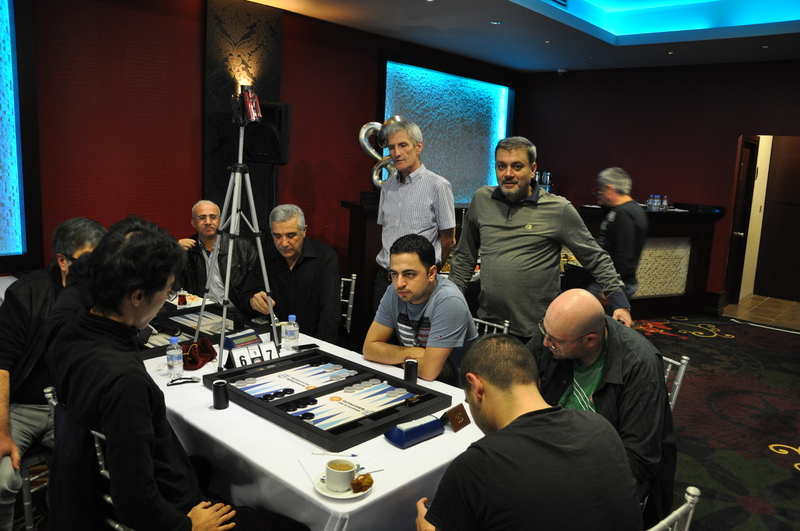 Reviving that nice period after a sleeping period of eight years, ISTAVDER, a Turkish backgammon club established in 2008, and WBA started organizing Cyprus tournaments. 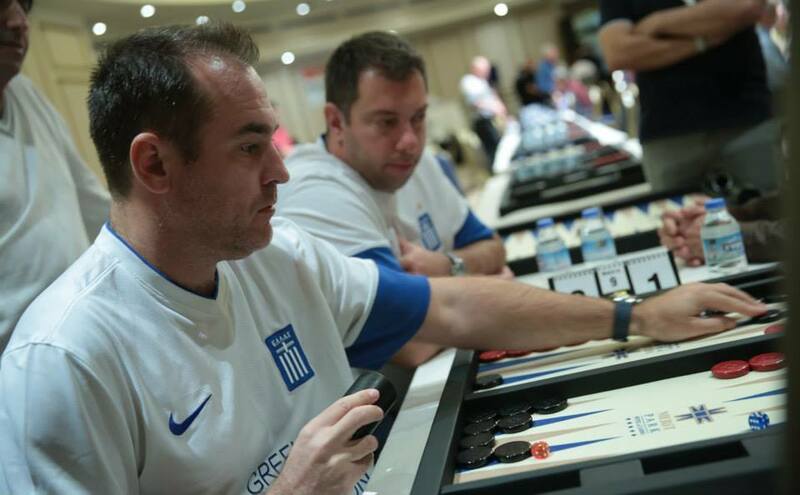 With a great vision and initiative for backgammon, Fuat Erdağ of ISTAVDER and Chiva Tafazzoli of WBA developed a culture of backgammon in Cyprus with two tournaments every year: Cyprus Open and European Pro Championship. Although WBA and ISTAVDER separated their ways just recently these two tournaments seem to be continued because they are fuelled by an abundant number of Turkish players. 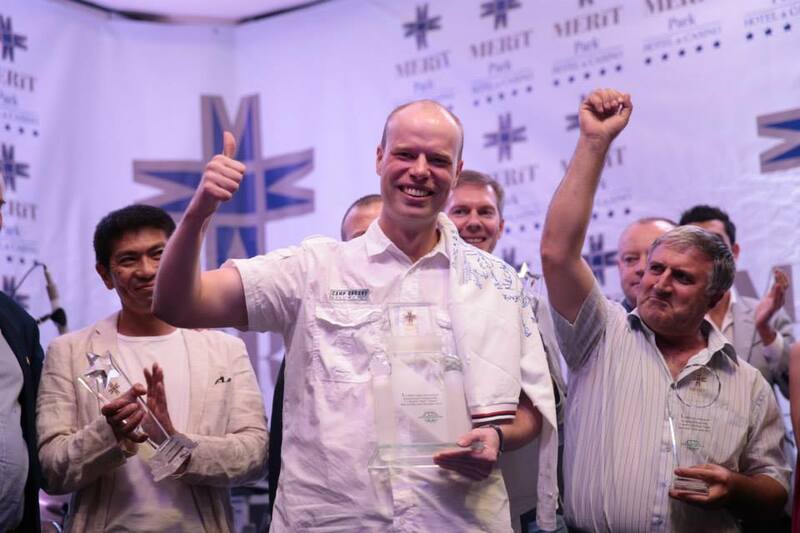 This year Cyprus hosted even a bigger and a promising tournament called Merit Open. 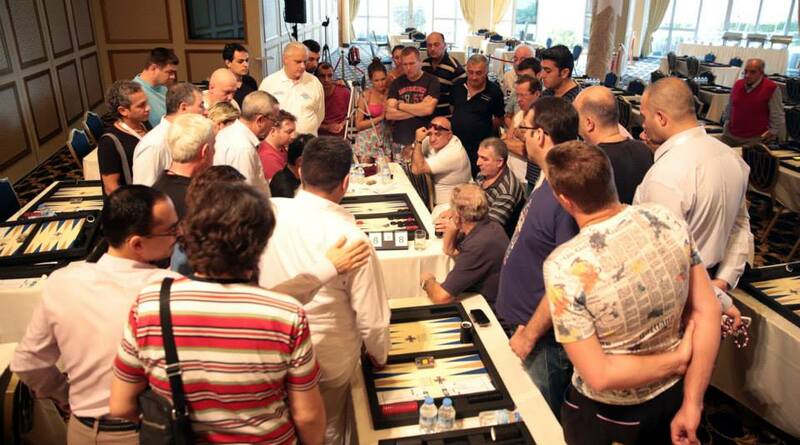 During the sleeping period of backgammon in Turkey, another Turkish club, WBF TURKEY, had spread backgammon in some cities of Turkey. A culture of backgammon with cube was established via successful leagues and the traditional cubeless version of backgammon -called tavla, same game as Greek portes- was being played in very big local tournaments. 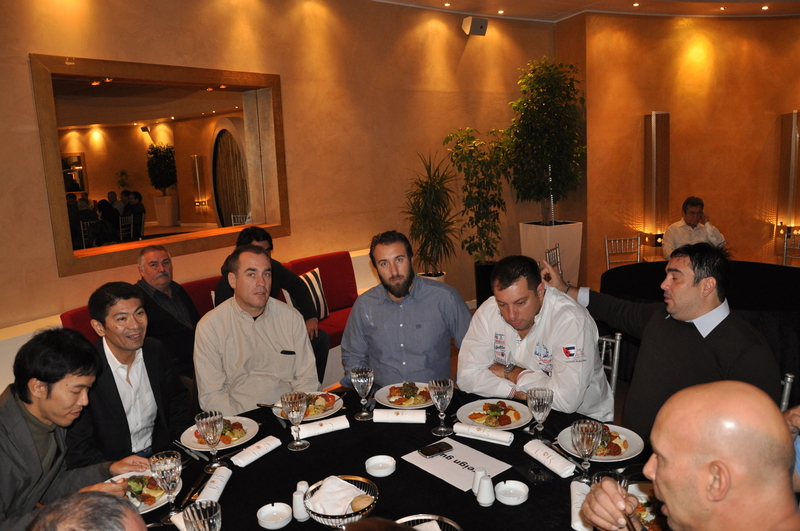 Arda Fındıkoğlu -head of WBF TURKEY- was directing these local tournaments with great success. With his superb organizational power and very well organized and maintained web site, he was able to receive an offer from Merit Park Hotel to organize an international tournament, and then asked Marco Fornasir of WBF to cooperate. View from my room at Merit Park Hotel. Mediterranean is Cyprus’ main source of attraction. 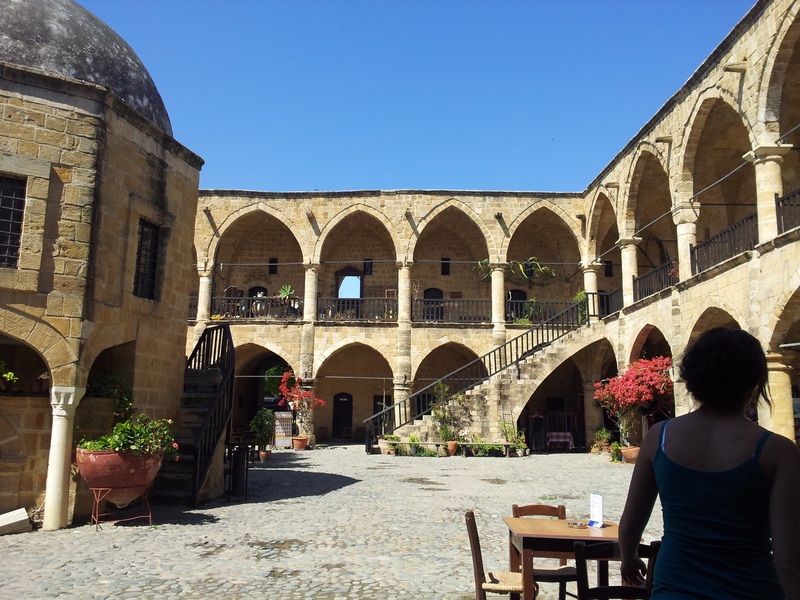 A historic Bazaar with a courtyard in Nicosia. Definition of serenity. A nice beach near Merit Park Hotel. Even in November it is swimmable. 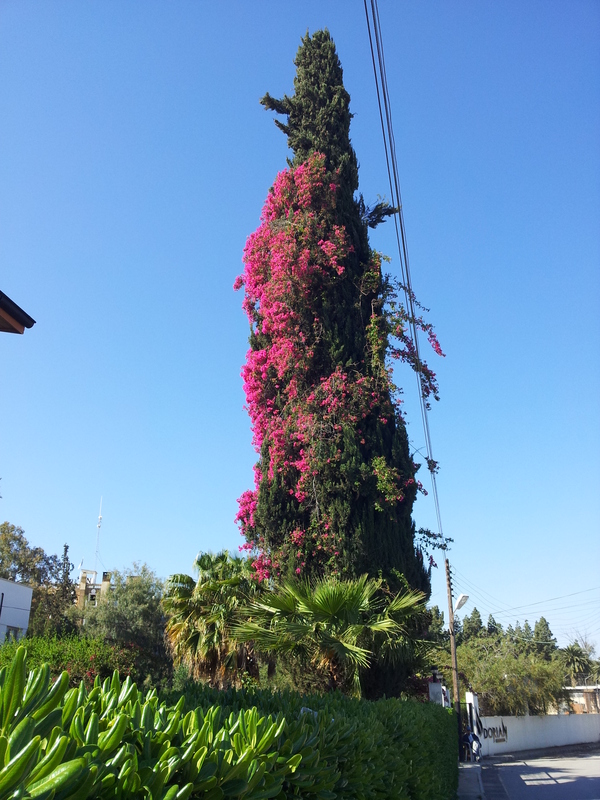 A cypress tree covered with begonvilles. Cooperation of rich Mediterranean plants in the lovely streets of Nicosia. 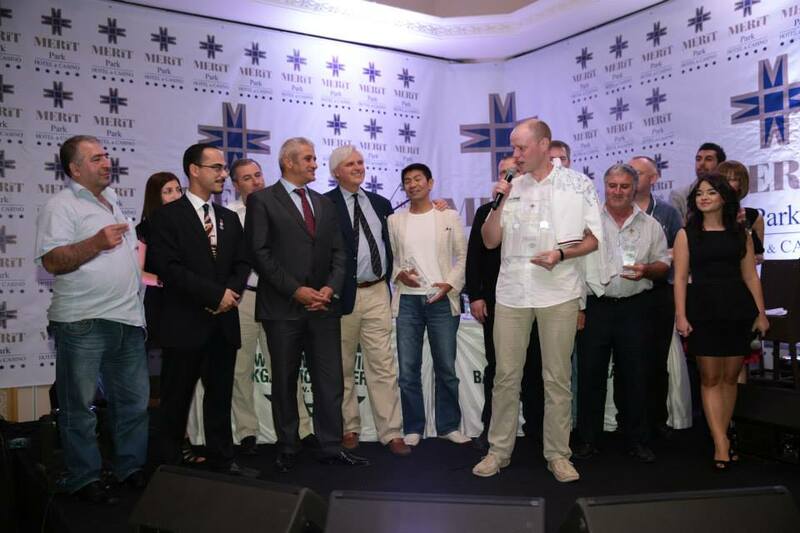 Towards the end of October, a very strong field of backgammon players met at the seaside hotel of Merit Park for the 1st Merit Open in Kyrenia, a nice sea-side town of Northern Cyprus. The hotel wanted to leave a good impression in the eyes of backgammon players. They supported the tournament with added money, free transfers and very cheap hotel prices with full accommodation. The weather cooperated much to the scene and the Mediterranean was still warm for swimming. They broadcasted from the tournaments’ facebook site, had opening and closing ceremony and parties. It was like a dream for backgammon players. As far as I know, backgammon was not honored like this before. The hotel had nice backgammon boards and dice sets. The only missing equipment were tournament clocks. I believe WBF will finally understand that clocks are necessary in today’s backgammon world to give edge to better players because as in chess, computer technology in backgammon decreased performance gaps between players. The tournament was executed using a classical ladder elimination system with three categories, main, consolation and last chance. I believe this was the second most limiting feature of the tournament. 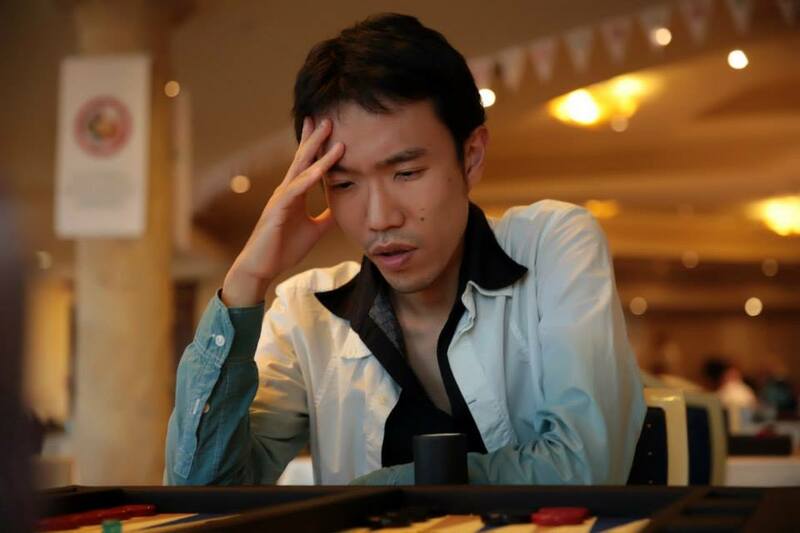 In today’s backgammon world, when even Monte Carlo had announced that they are going to change their elimination system, WBF should do something to modernize its tournament execution. Today there are modern systems like more Swiss system which allows two or more losses and double elimination system with a fighter bracket with two out of three single elimination style powerful play-off between one loss and zero loss players. With number of players reaching a level of hundred, it may also be necessary to add more days to the tournament. Apart from these deficiencies, the hotel and WBF executed the tournament almost perfectly. I personally asked the hotel to organize this tournament twice a year. 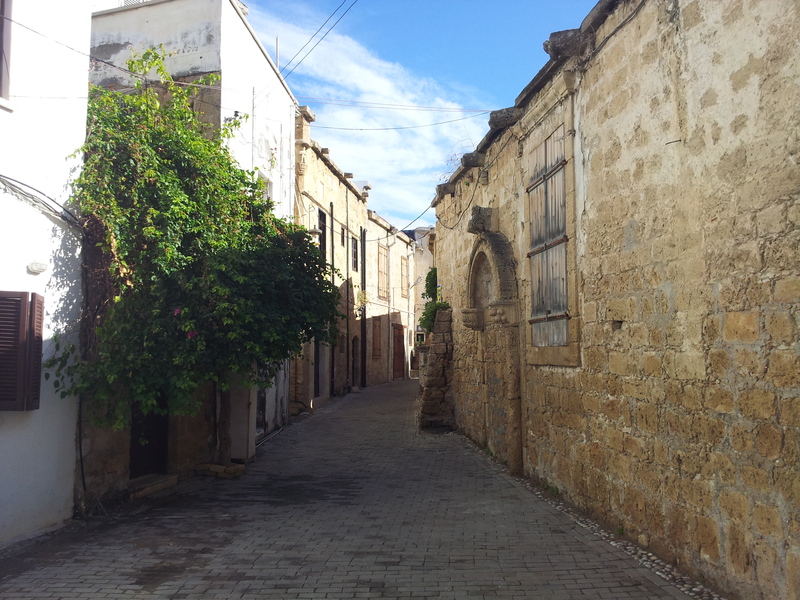 An historic street in Kyrenia. Cyprus is surrounded with history. 1st Merit Open was held 3 miles away from the historic downtown. Opening cocktail and party by the pool of Merit Park Hotel. 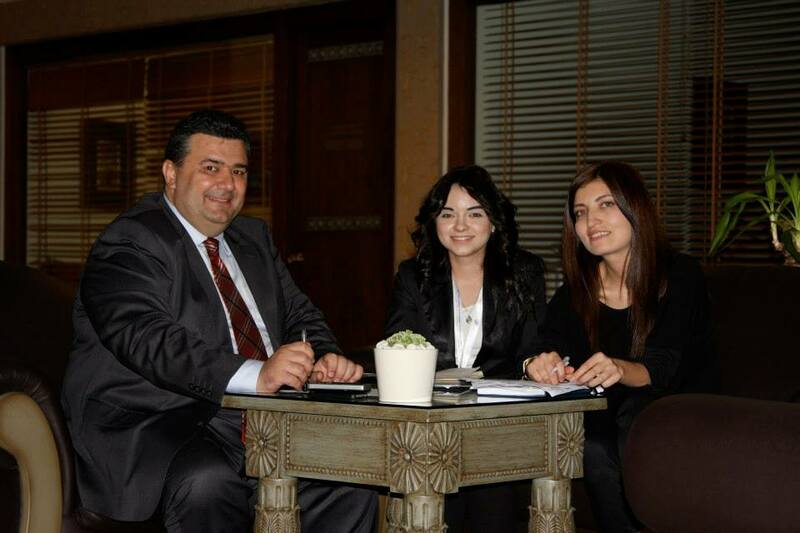 Merit’s three merits: Mesut Gürdal, Daria Malykina, Didem Yılmaz. People are the powerhouse of their organization. Without them the tournament wouldn’t be so successful. Draw time. A young player is helping Marco. Play room of 1st Merit Open. They had reserved half of their ballroom for the tournament. Toby Tabet played his first international semi-final against Michy. Together with Arda they were captured under a nice sunlight. Mochy is playing against a DMP against Soinguli Amirov. Amirov cannot sit because of excitement. 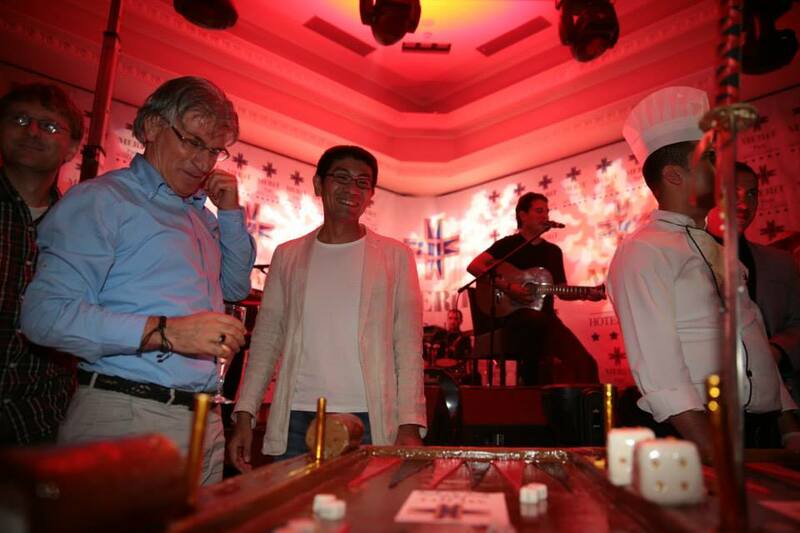 A famous Turkish singer competed in the tournament. Doubles winners from Greece: Konstantinos Mitrelis and Haris Christidis. It is nice to see ladies playing backgammon. 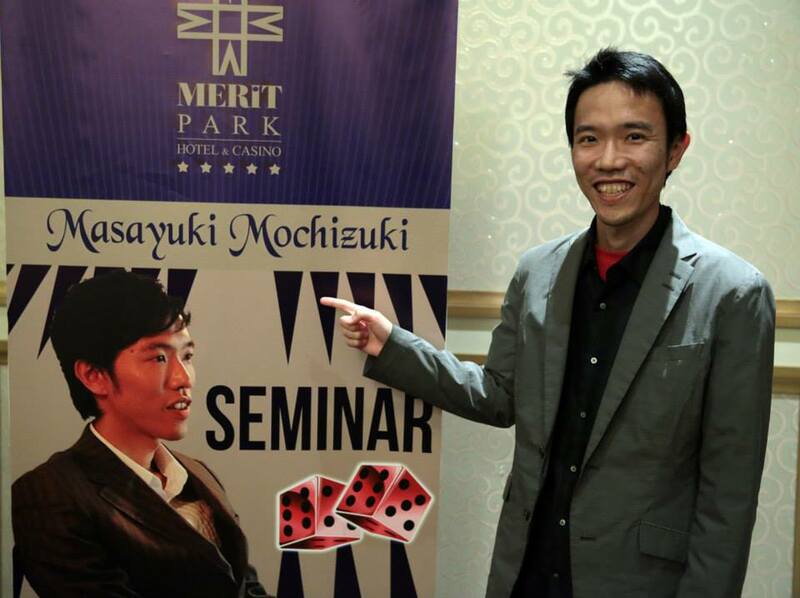 Mochy gave a seminar especially tailored for Turkish players. This is not from a movie. Mochie is considering a move. Very nice photo by Annick Hasdenteufel. Michy is playing against a Turkish player. Some matches are more important than others especially if Mochy is playing. Sergei Erokhin gave a very nice speech at the ceremony. Winner of 1st Merit Open Sergei Erokhin. Michy was the finalist. 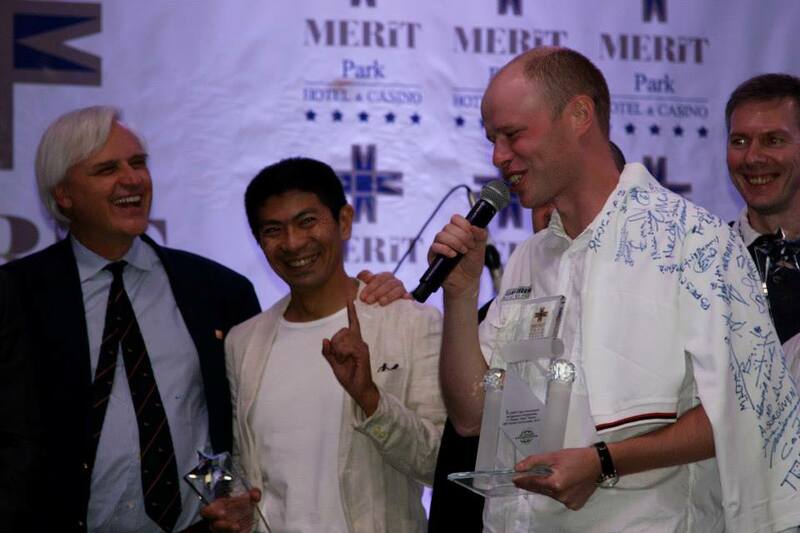 Winner of 1st Merit Open Sergei Erokhin. Together with the finalist Michy and the director Marco. 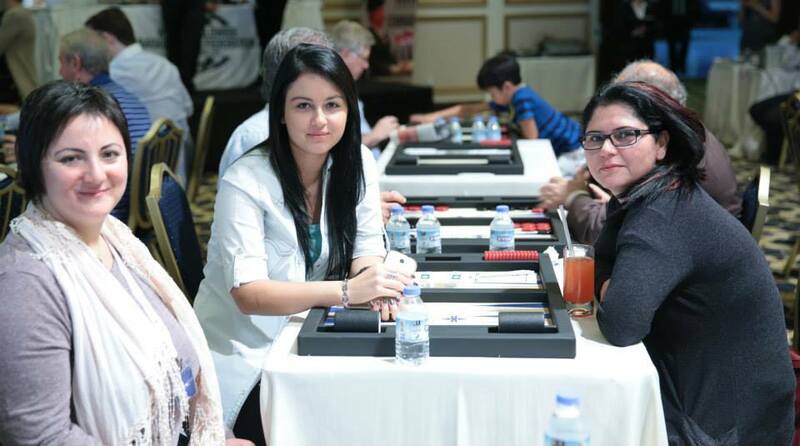 My idols of backgammon Cemalettin Yüksel and Akiko Yazawa. A beautiful moment captured together with Doug Mayfield. 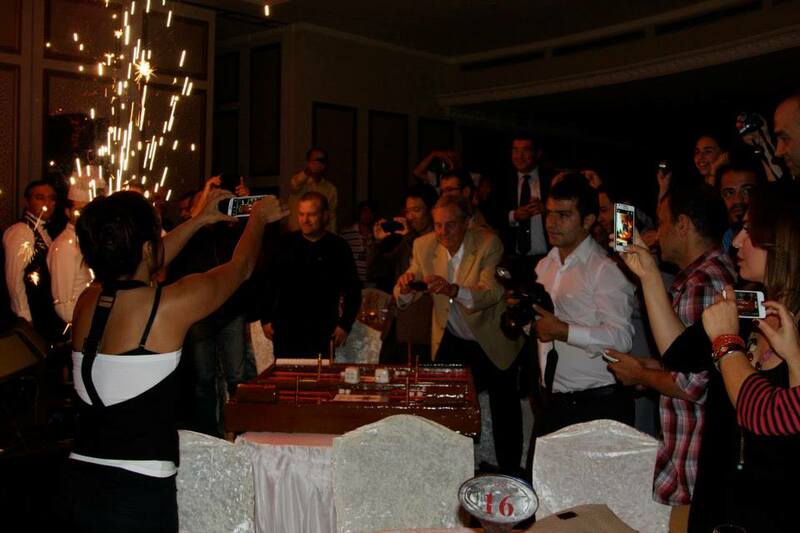 A famous Turkish singer performed at the closing party. Whenever this geography comes to one’s mind, belly dancing would be a crucial part of the vision. 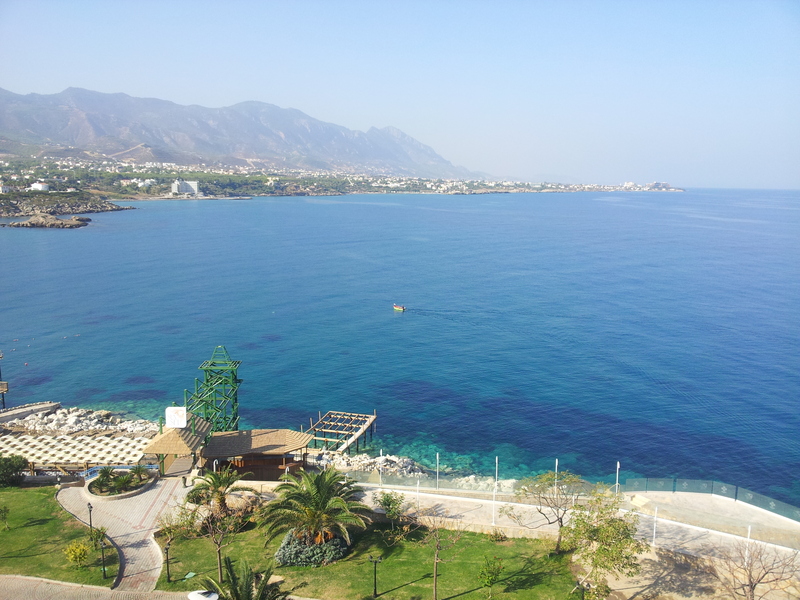 In mid-December, I was in Cyprus again. 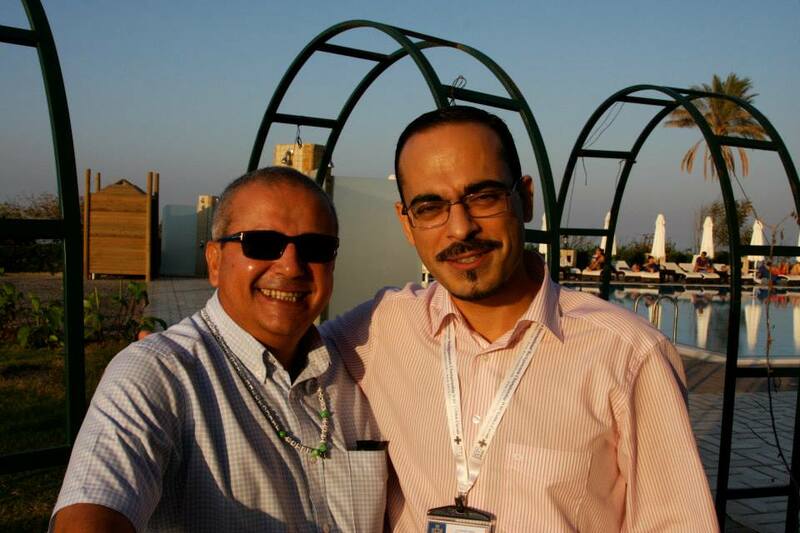 This time it was for 6th Cyprus Open. 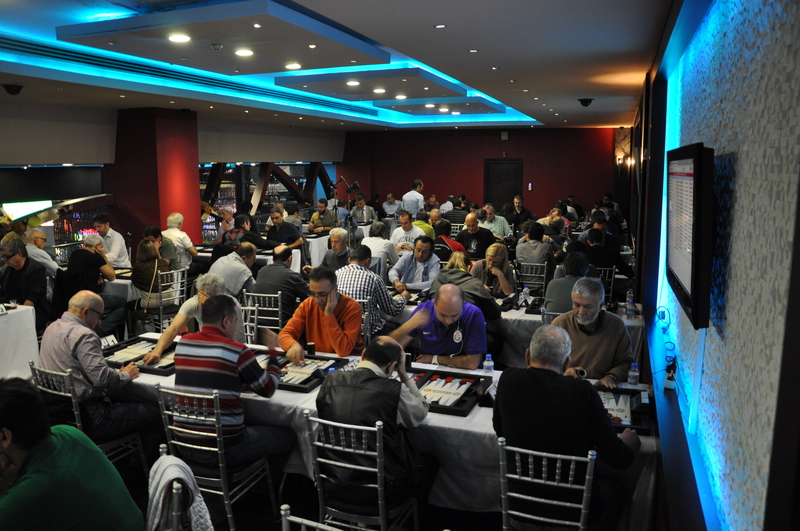 The tournament was at Pasha Casino of Golden Tulip Hotel in Nicosia, the capital of Northern Cyprus. Since I played a lot of tournaments there I felt like being at home. ISTAVDER and WBA had organized eight tournaments in Cyprus at the same place. Many strong players attended these tournaments. The hotel was always friendly and the casino provided added money for these tournaments. 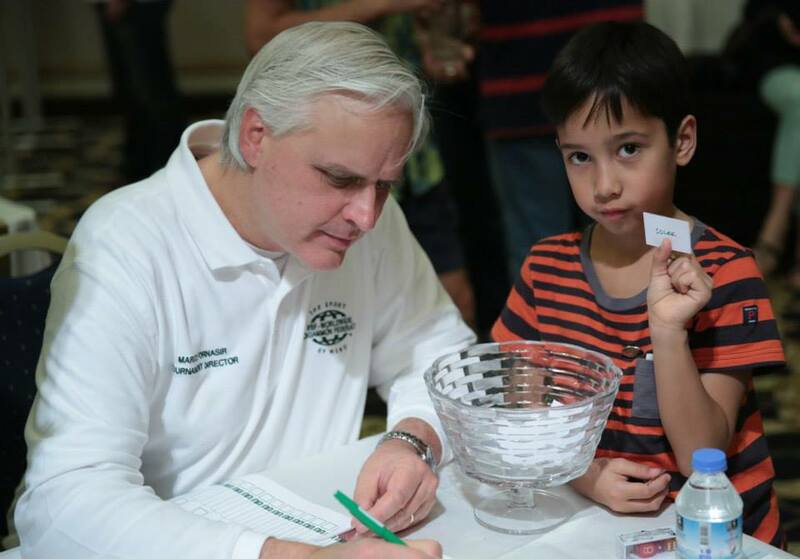 Despite the decline of backgammon in the world, these tournaments got ever increasing attendance even with minimum publicity. 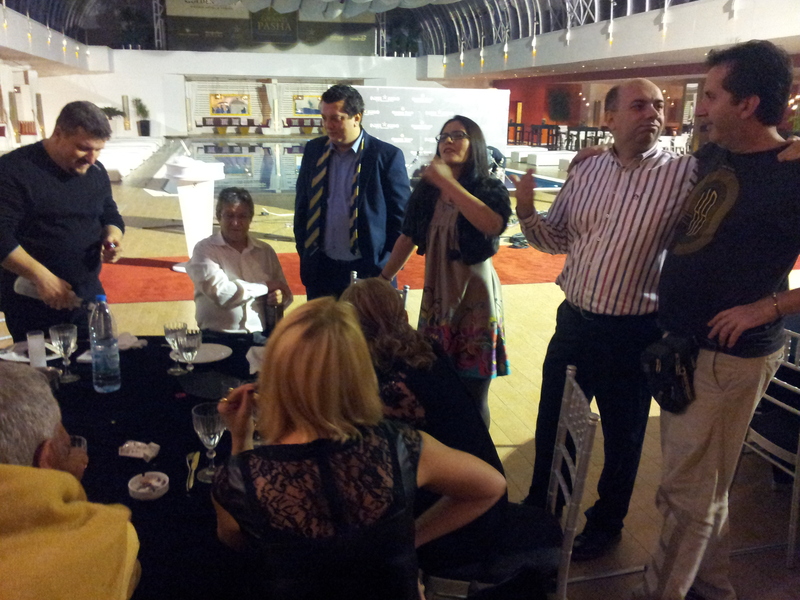 6th Cyprus Open also got a very good attendance. Even Falafel, after giving a break for himself, visited and played in Doubles tournament. After a tournament reaches to a peak, some things start to slip out of attention. The warning sign came when the hotel lost all its clocks and in the first day we had to play doubles tournament without clocks. The main tournament used a more Swiss type of system called ftbgsystem backed up with a web based management system. It provided multiple loss feature with minimum execution overhead. I think tournament directors should consider using this system. It can also serve as a database of matches for a web based worldwide ranking system. An innovative break time management policy was also used in this tournament. Break times were added to the clock settings of both players and during the break the clock kept running. This gave players more flexibility in managing their breaks and directors more control in managing delays. There were some controversy in the handling of byes and non-systematic way of broadcasting live matches during the tournament, but the traditional closing ceremony and party was cheerful as it has always been. 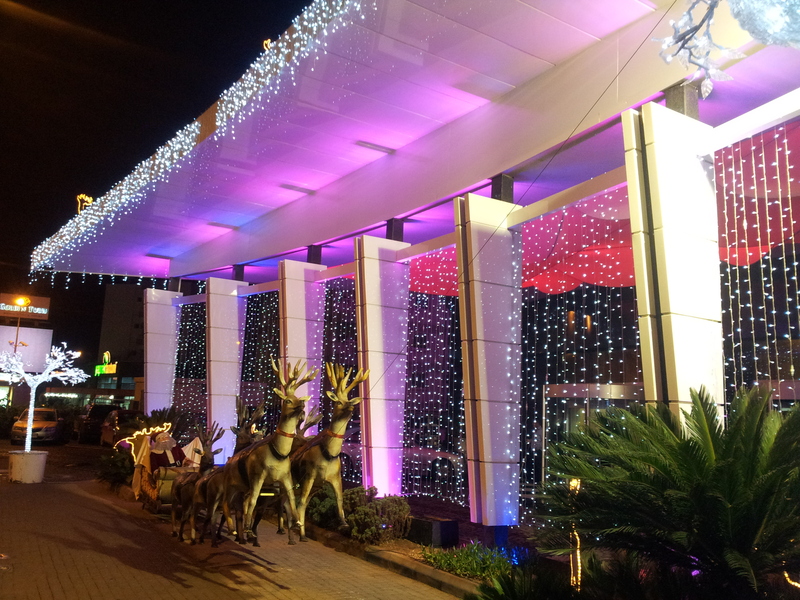 Christmas at Golden Tulip Hotel in Nicosia. 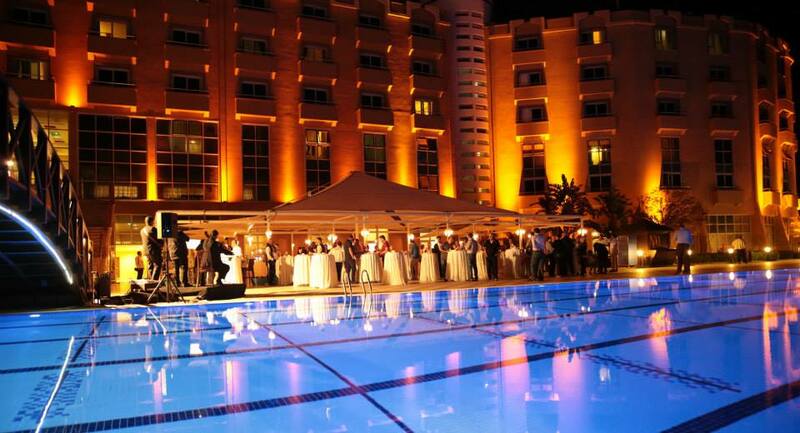 6th Cyprus Open was held in the modern downtown of Nicosia. Draws are part of ftbgsystem in every round. They could be followed from the screens all over the tournament place. In the first round of the main tournament, Michy and Mochy had an unlucky draw to play against each other. Fuat Erdağ and his wife Handan Erdağ played against each other. Handan seemed to be more happy about this. A young Turkish player Caner Kalafatoğlu playing against a giant. Caner had a very successful tournament. A young Turkish player Aykut Uzel playing against Mochy and surrounded with another giant Falafel. A young Turkish player Onur Vurur playing against Mochy and surrounded with another giant Michy. 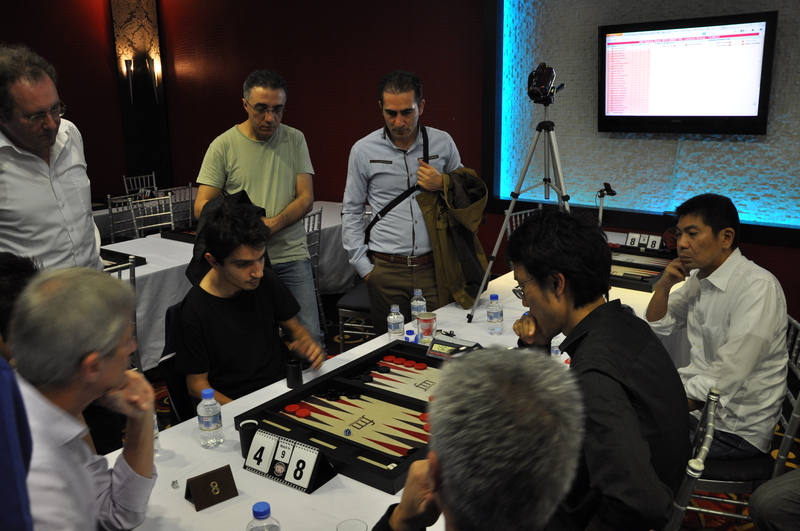 Turkey is the powerhouse of backgammon and good players are coming at an increasing rate. 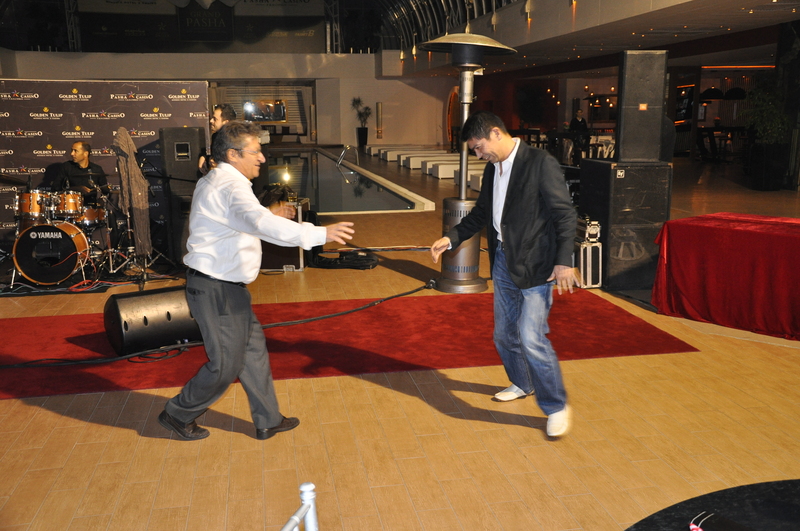 Shahab Ghodsi showing his balance skills. In the heat of the final match an 8-cube determined the winner. 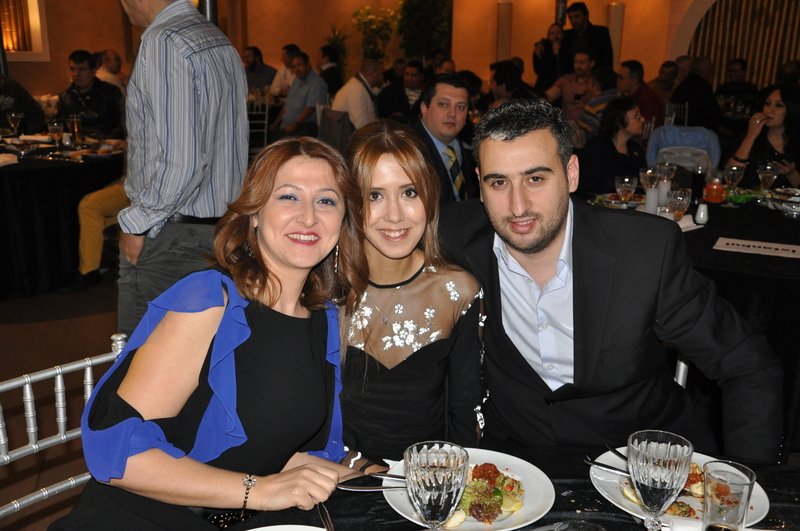 Handan, Merve and Cenk celebrating after a good tournament. The finalist Zafer Taş and the winner Maria Peycheva. Greek and Japanese players always supported Cyprus tournaments. Maria celebrated her win with a dance show. 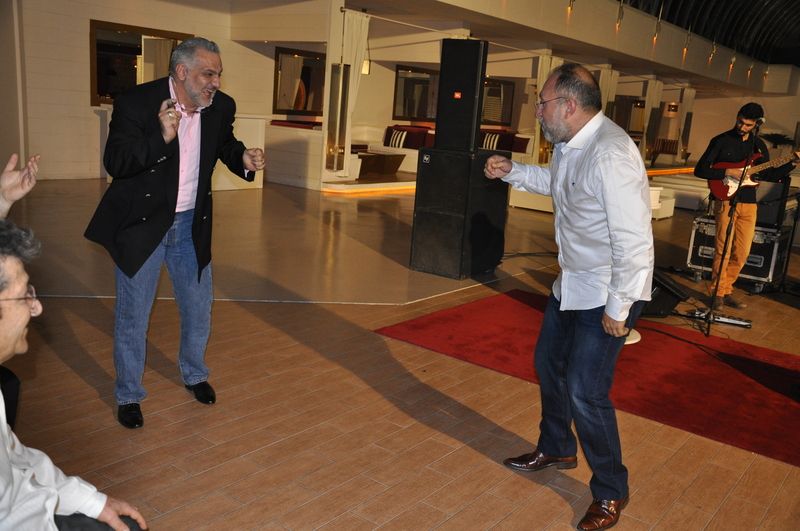 The non-stop dancing man Murat Kapıkıran enjoying the closing party together with Chiva. Dancing by the pool. Michy is a good student of Turkish dances. 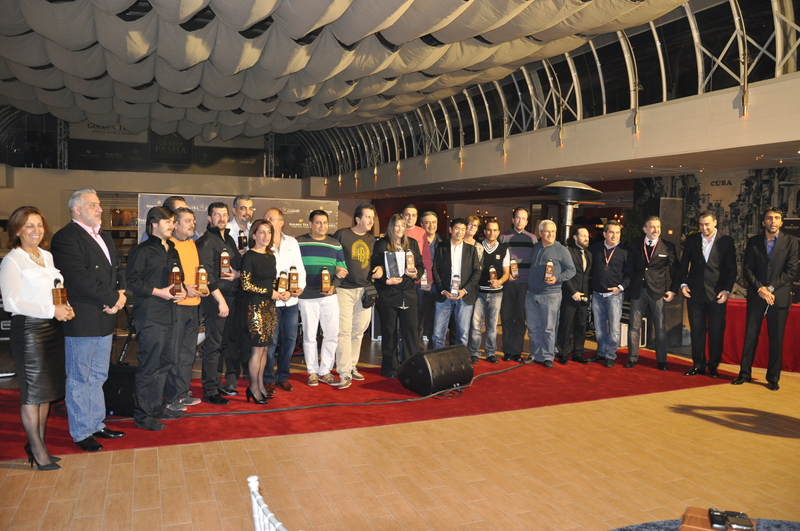 Prize winners at the ceremony of 6th Cyprus Open. 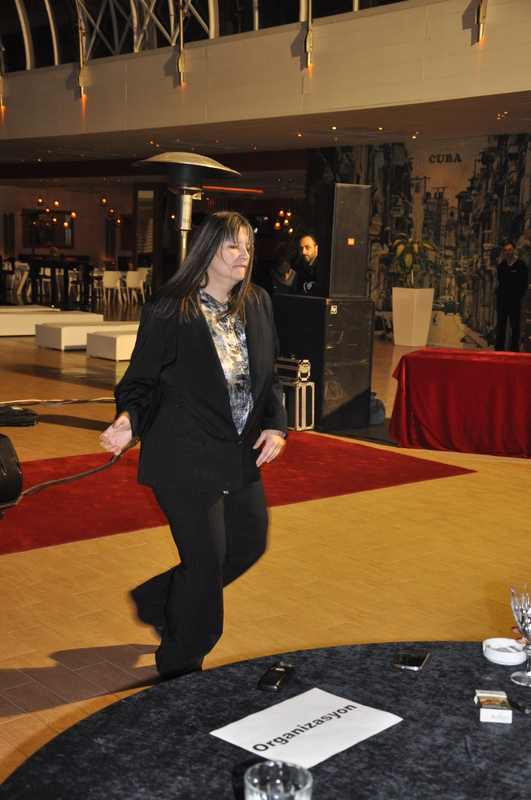 We did our usual halay, a Turkish line dance, after the ceremony. 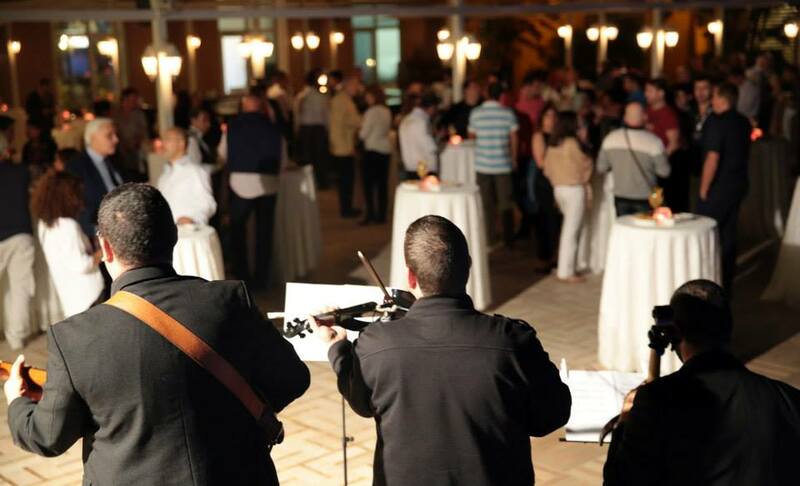 The number and quality of tournaments in Cyprus are higher than most places in the World and they are still expected to increase. If the competition between two Turkish clubs ISTAVDER and WBF TURKEY can be drawn to a healthy level, we will see even better tournaments and bigger attendance. Especially for Turkish players, it is very distractive to have a doubt about whether they will be welcome to a tournament or not. After a period of tension, we will see some good effects of positive competition. 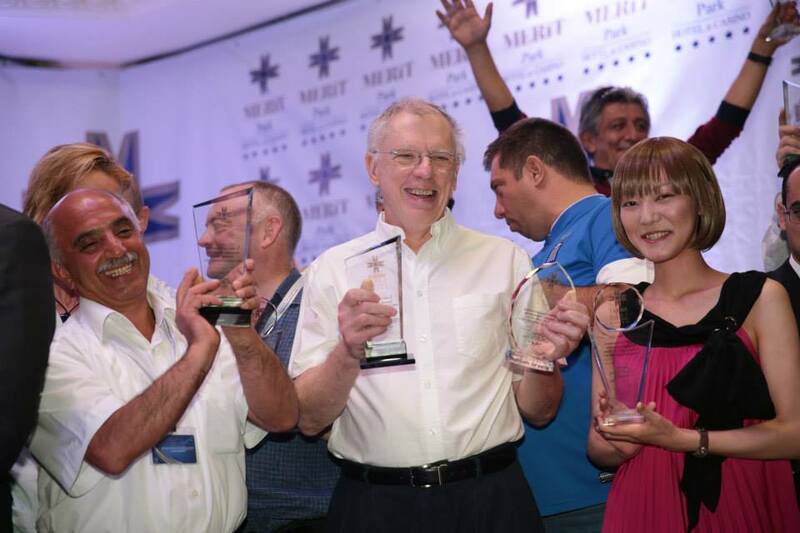 MASTERS (92): 1-Sergey Erokhin (Russia), 2-Michihito Kageyama (Japan), 3/4-Martin Barkwill (England) / Tabet Tabet (Lebanon); 1C-Igor Romashov (Russia), 2C-Soinguli Amirov (Georgia), 3C/4C-Mustafa Biber (Cyprus) / Nodar Gagua (Georgia/Russia); 1LC-Erkan Varli (Turkey), 2LC-Sergey Drmoyan (Armenia); Ladies Prize – Akiko Yazawa (Japan). INTERMEDIATE (33): 1-Andranik Harutyunyan (Armenia), 2-Yusuf Mehmetoglu (Turkey), 3/4-Eyüp Durmus (Turkey) / Mykjailo Yuzhnyi (Ukraine); 1C-Gioni Adrian Munteanu (Romania), 2C-Peter Neumann (Germany), 3C/4C-Annick Hasdenteufel (Belgium) / Cengiz Özdil (Turkey); 1LC-Mesut Celebi (Turkey), 2LC-Yilmaz Özdogan (Turkey); Ladies Prize – Ayse Özkin Gökçeer (Turkey). 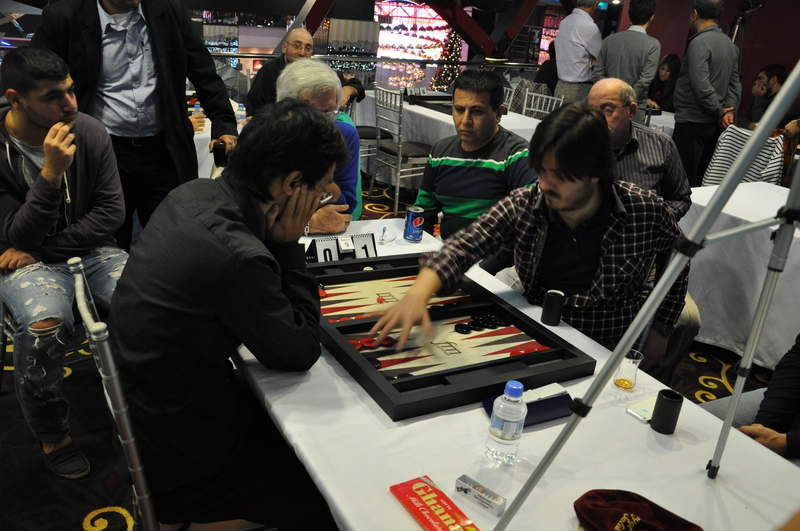 SUPER-JACKPOT (8): 1-Abdullah Sorgüven (Turkey), 2-Konstantinos Mitrelis (Greece). LADIES TOURNAMENT (11): 1-Pelin Yazan (Turkey), 2-Meltem Sahtiyanci (Turkey). WARM-UP (51+38): 1-Cemalettin Yüksel (Turkey), 2-Giorgos Kleitsas (Greece). 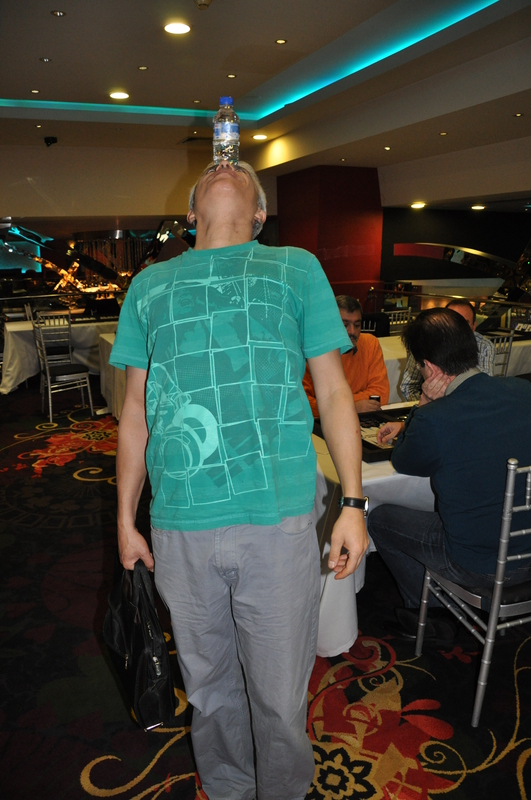 869BG TROPHY (43+22): 1-Shimon Kagan (Israel), 2-Eyüp Durmus (Turkey). ONE-POINT MATCH (128): 1-Haluk Oral (Turkey), 2-Zorik Manukyan (Armenia/Ukraine). DOUBLES CHAMPIONSHIP (31 teams): 1-Haris Christidis (Greece) & Konstantinos Mitrelis (Greece), 2-Gökhan Kazandag (Turkey) & Doug Mayfield (USA).